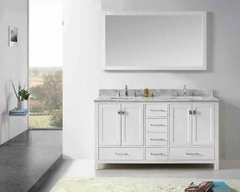 Standard Furniture Dresser Hester Heights ST-61159. Hester Heights features simple style and appealing design making it the perfect addition to today’s home. Dresser - 56"W x 16"D x 35"H.
Wood products with simulated wood grain laminates. French dovetail. Roller side drawer guides. Metal pull in brentwood dark color finish. Dark old fashion wood color finish. 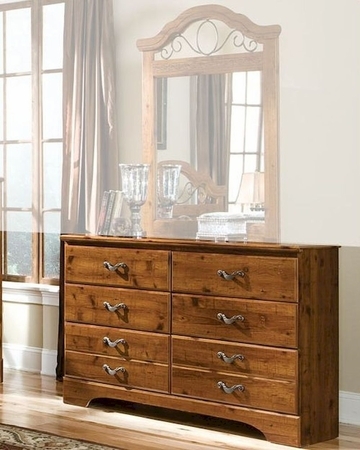 Ample storage featured on the dressers six drawers help to keep an organized room.